A writer for "Saturday Night Live" is facing an onslaught of criticism after tweeting a joke on Inauguration Day aimed at President Donald Trump's 10-year-old son. The tweet in question came from "Weekend Update" writer Katie Rich who posited that Barron Trump, the only child between the president and first lady Melania Trump, will grow up to become America's "first homeschool shooter." Rich removed the controversial tweet after three hours and then set her Twitter account to protected. 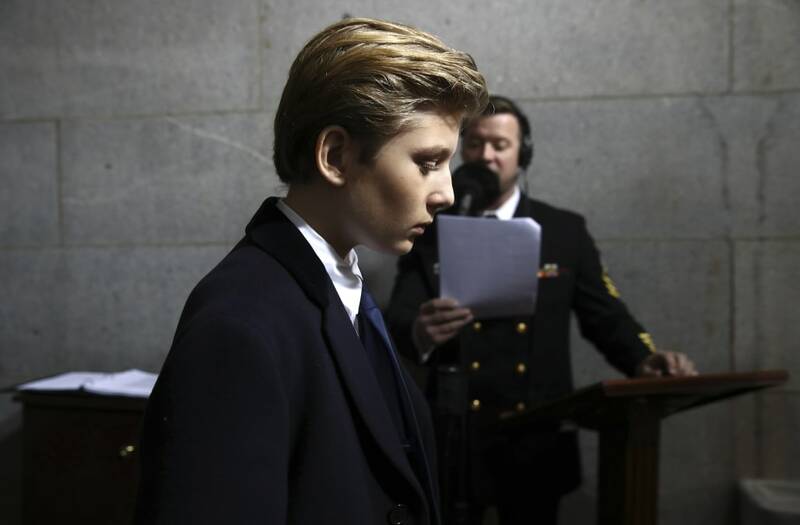 "The fact that writers and other people are willing to attack Barron Trump, a ten year-old, just shows how much we really needed change," said one Twitter user. Another user called the tweet "truly sick," saying Rich "no doubt thinks bullying a 10-year-old CHILD is hilarious." Many users pointed out the unwritten rule that children of politicians remain off limits when it comes to criticism--this is something President Obama's administration also dealt with throughout his eight years in office. Sam Janney, who tweets under username @PolitiBunny, said: "Kids are off limits...and the internet is forever. Shameful @katiemaryrich." AOL.com has reached out to Rich for a statement and will update this post once one is provided. Will Melania take over FLOTUS twitter? No one really knows.